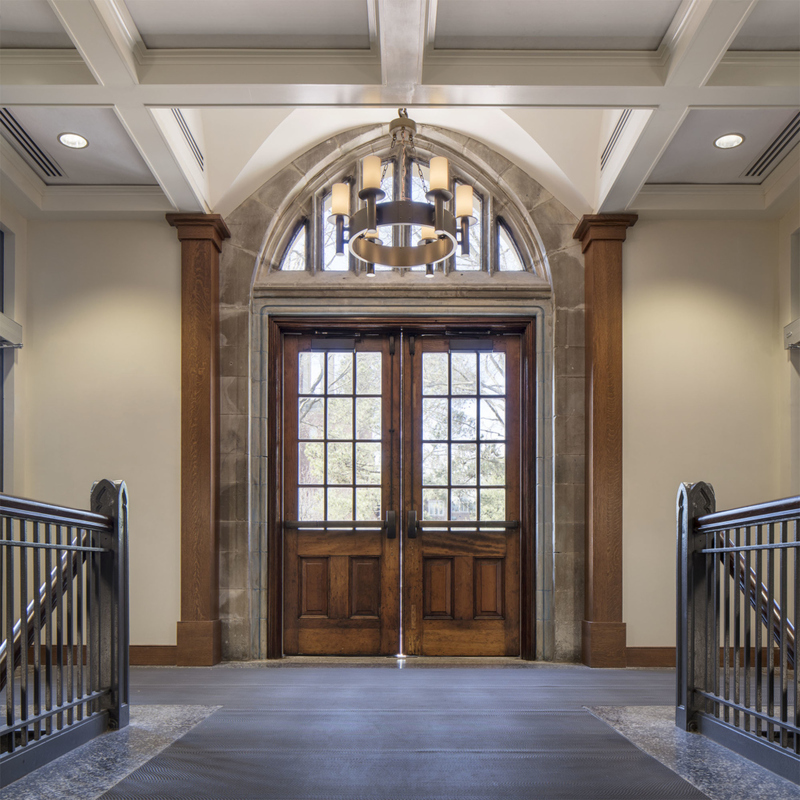 Structural Engineer: Daniels & Associates, P.C. 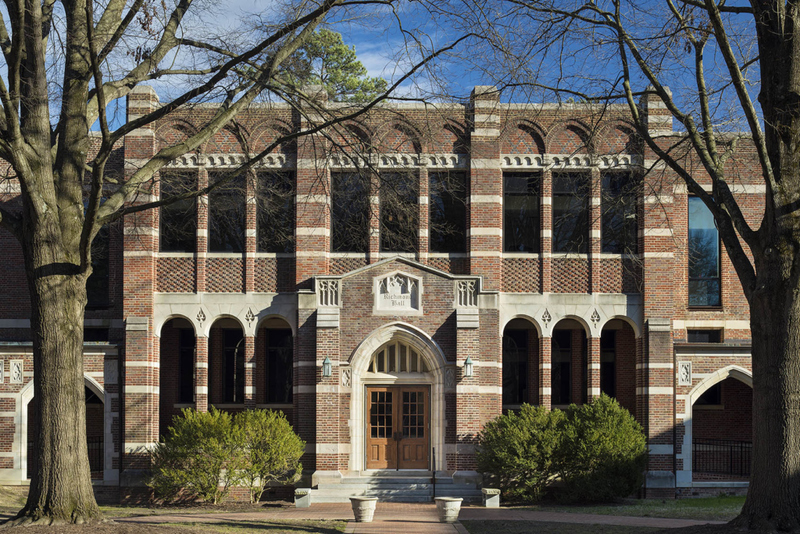 3north was engaged to renovate Richmond Hall, an academic building built in 1932, and now home to the psychology department at the University of Richmond. 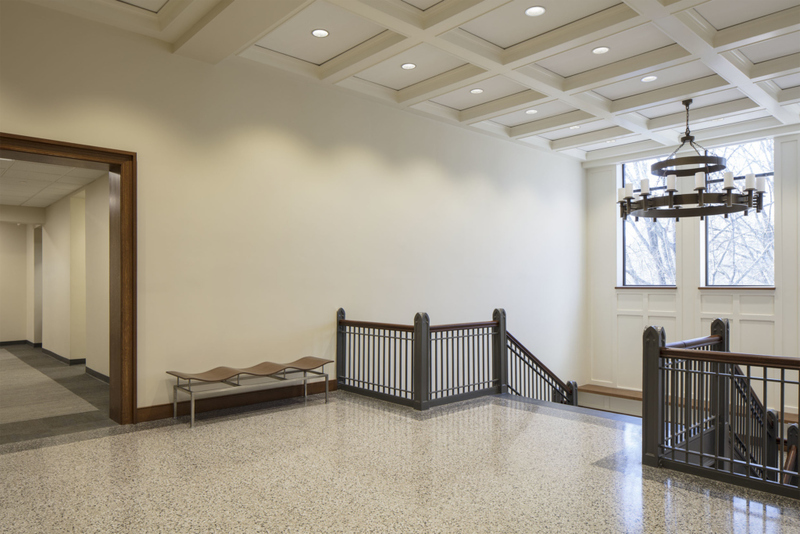 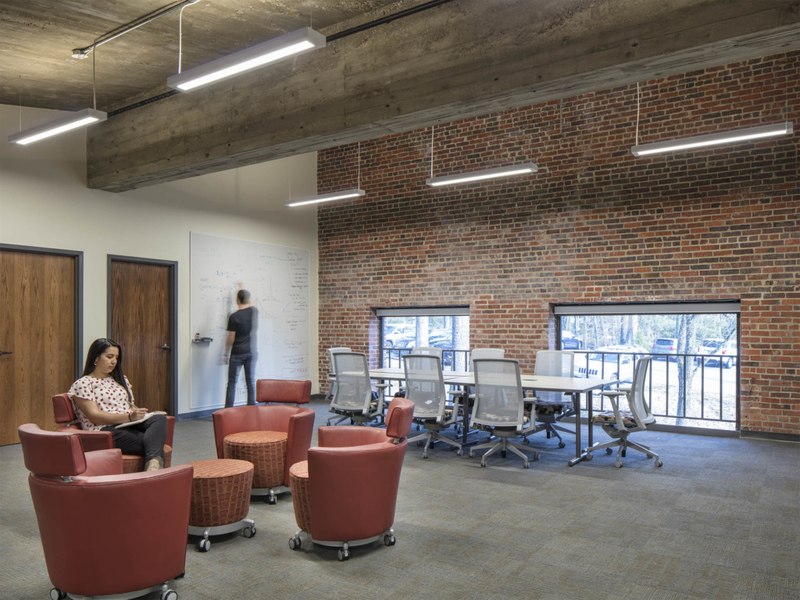 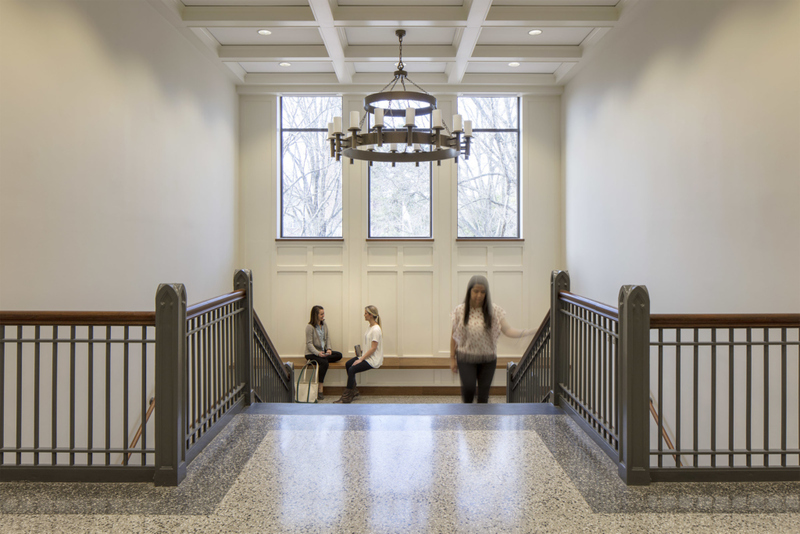 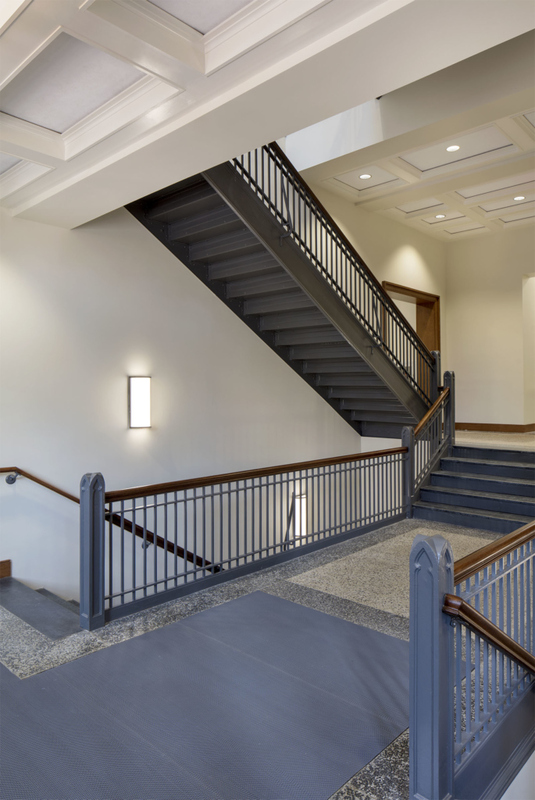 A significant component of upgrading the interior finishes included revealing original features of the historic building such as the two-tone terrazzo flooring, slate stair treads, and a stone arch at the building’s main entry, all of which had been covered up during a previous renovation. 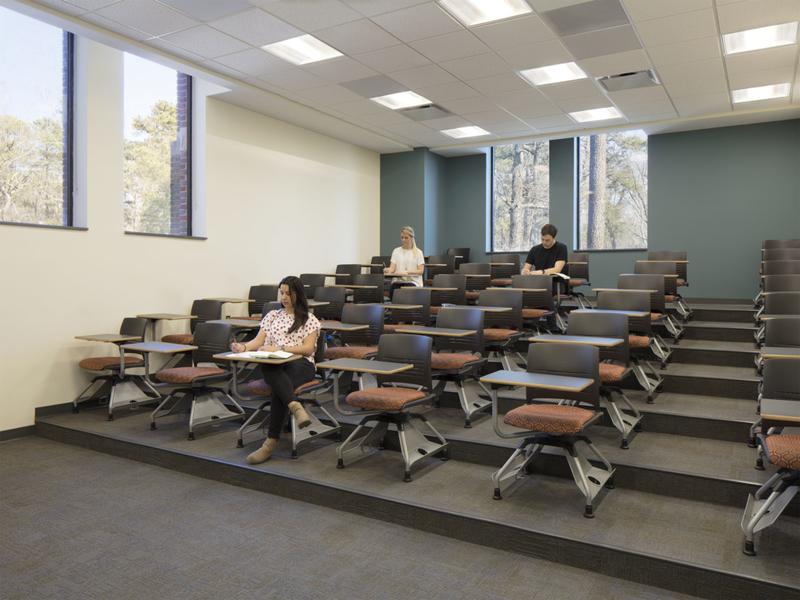 Classroom and lab spaces were renovated to accommodate the specific needs of the psychology department, including updated classrooms with integrated A/V for streamlined lectures and testing labs with specific features to facilitate research.